A piece of working life. 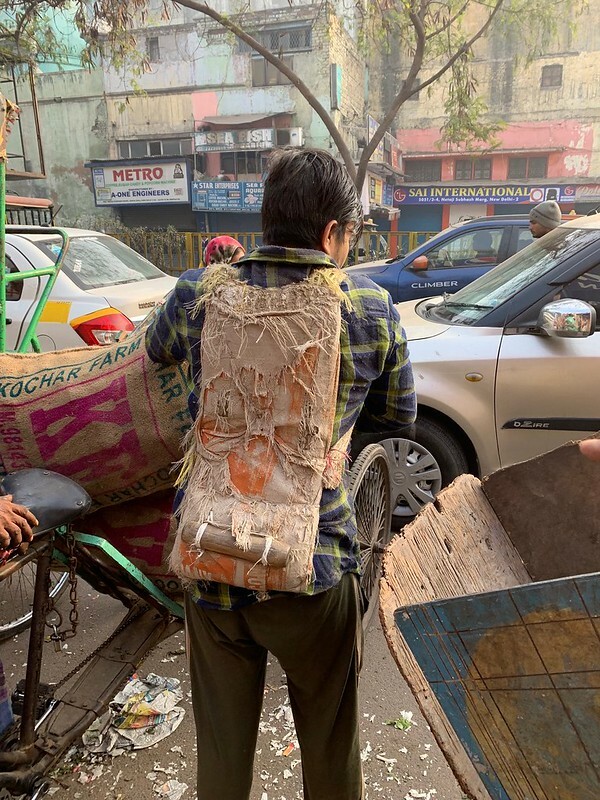 It looks like some sort of backpack, but it isn’t. 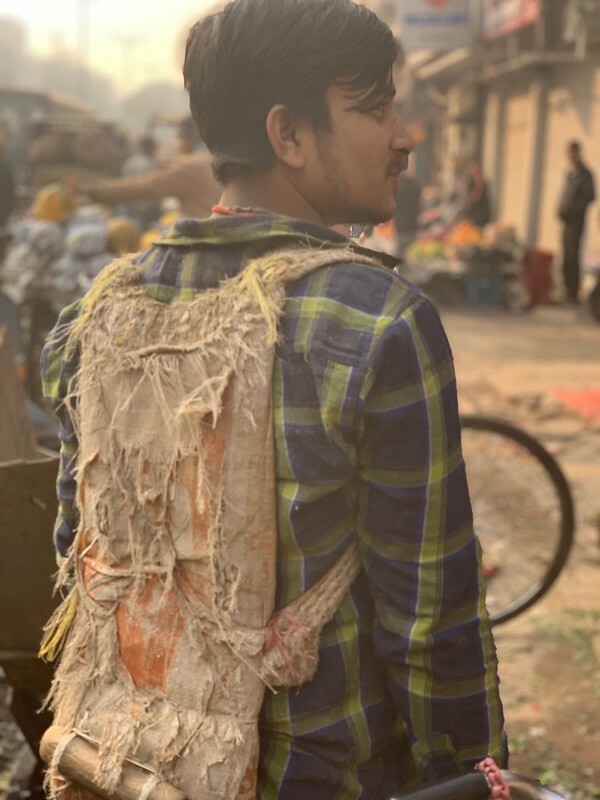 “It’s called a pithalla, and without question makes it so much easier to carry heavy loads on my peeth (back),” explains labourer Suresh Kumar. 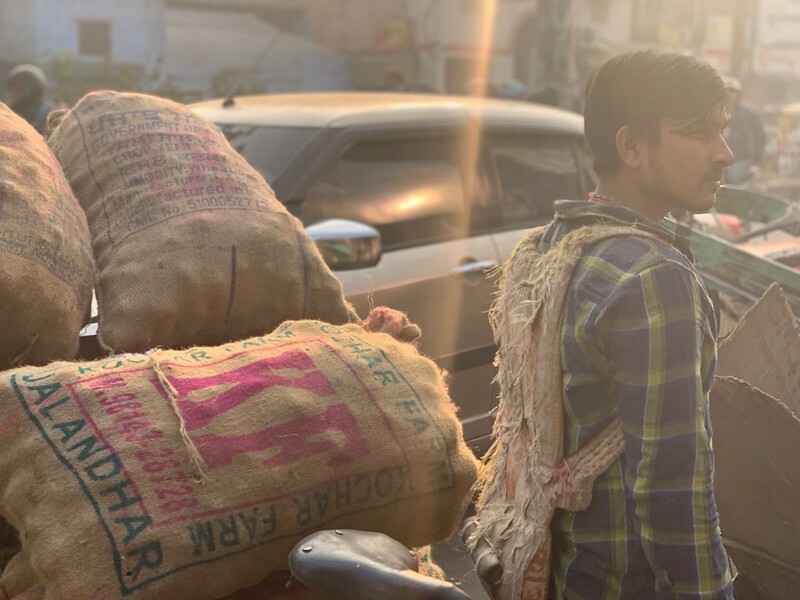 The morning is still young, but this sturdy teenager has already lugged half-a-dozen sacks full of vegetables, each weighing about 50 kg, from a market in central Delhi to a waiting rickshaw. In all this, the pithalla is vital. “It ensures I’ve got a firm grip on the bag and that it doesn’t fall off,” he says. You might call pithallas a kind of body armour, but they aren’t available on the open market. The workers usually make their own out of two gunny sacks. Of course, not everybody can sew. 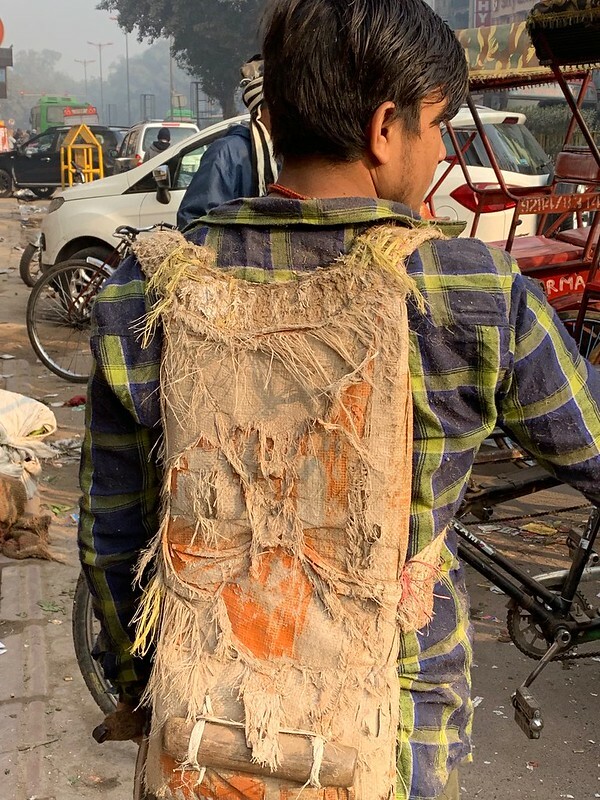 “I bought mine for 500 rupees from a mazdoor (labourer),” says Mr Kumar. Now, Mr Kumar heads back to the market. A while later, he reappears with another huge sack fitted firmly to his pithalla.